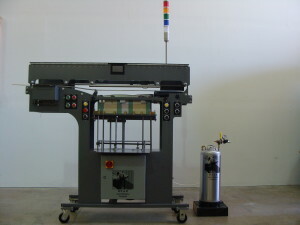 Can Labeler - Bear XS-400 #10 - Bear Label Machine Co. 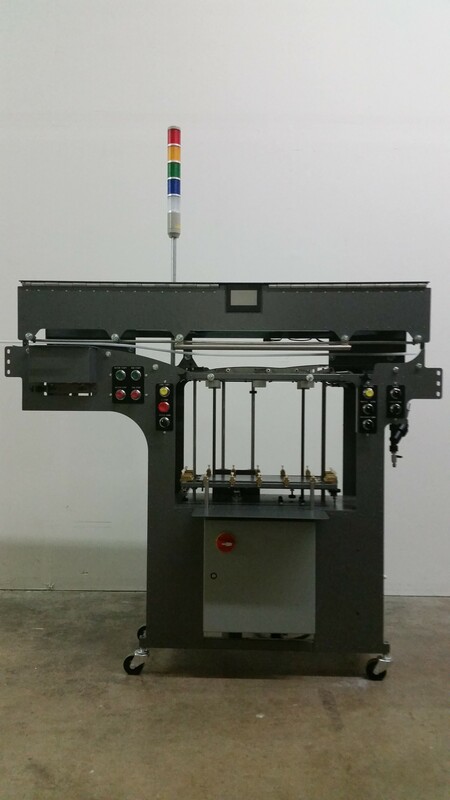 The Bear XS-400 #10 can labeler outperforms the competition. 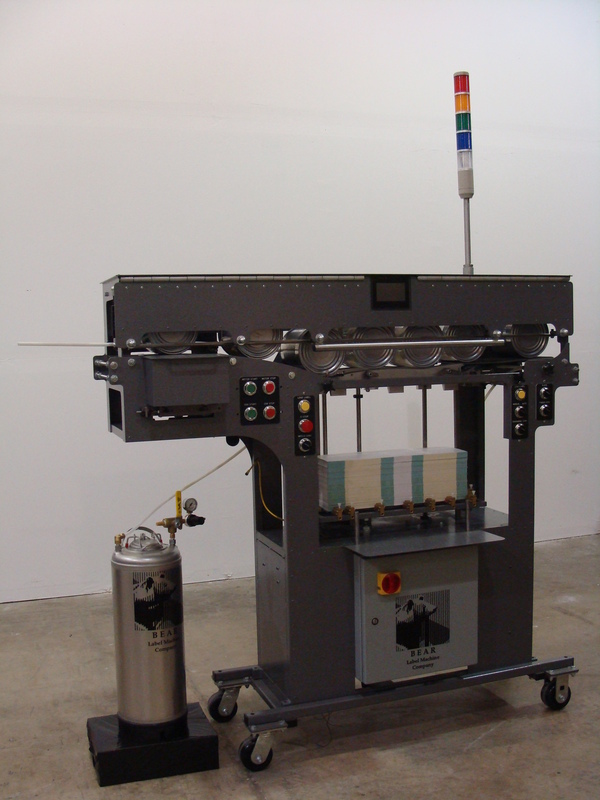 It’s ability to label more than 400 cans per-minute, on-the-fly continuous label loading, ultra-efficient gluing system, and it’s zero downtime mechanisms prove it to be the most reliable and cost effective #10 can labeler on the market today. The Bear XS-400 #10 Can Labeling Machine is the easiest to operate, and fastest #10 can labeler ever made. The Bear XS-400 #10 has proven itself during continuous 24-hour use in major canning facilities. We have refined and perfected the Bear XS-400 #10 can labeler over years of testing to eliminate problems associated with other label machines. While industry trend is toward is bigger, more complicated machines, the Bear is of simpler design. This unique simplicity makes the Bear XS-400 #10 the most efficient and maintenance-free can labeling machine available. When low cost and reliable performance are important to your company, the Bear XS-400 #10 Roll-Through Can Labeling Machine is the clear choice. * Conversion kits available to run can sizes 603 X 700 down to 603 X 600. Change over time approximately 30 minutes. Contact Bear Label Machine Co. for details. 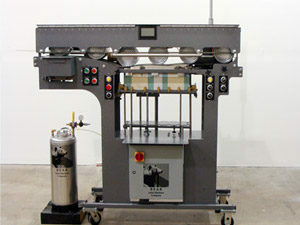 Casters allow you to roll one machine out and roll another machine into position in order to run a different can size.